4K projectors are only now becoming more affordable with entry level models starting at around £1000 or $1000. This model is the mid range but packs so much more than the lower priced 4k Projectors. It really is worth considering missing them and spending a bit more and getting something that you may feel will last you longer and have extra features. 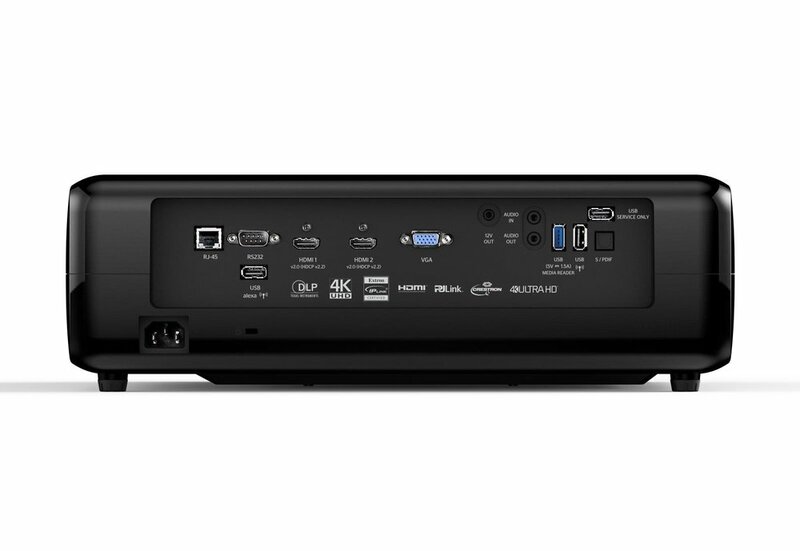 There is great connectivity as this hosts two compatible 4K HDMI 2.2 inputs as well as a hot of other connections. 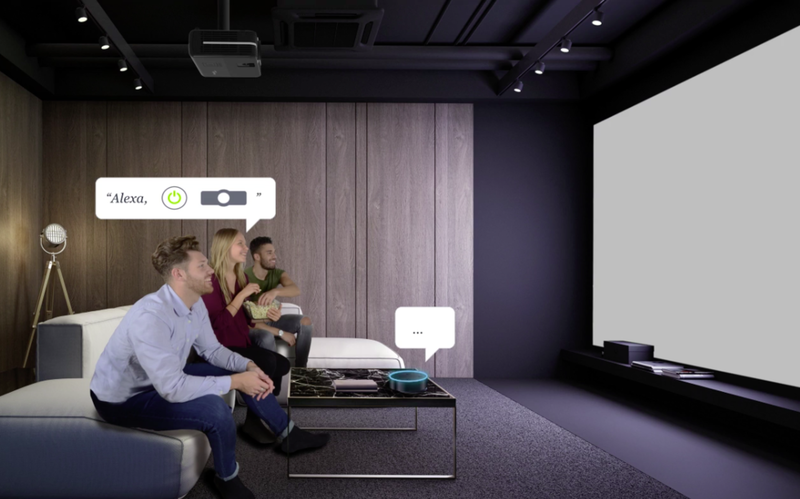 With the Optoma UHD51A you will be easily able to connect to Alexa and control your projector from your Amazon device. Exclusive to the 51A model is also a build in media centre.